Indian head massage is a traditional massage therapy that has its own unique techniques; it involves an application of massage to the shoulders, arms, neck, head, and face. The treatment is performed with the client fully clothed and seated in a chair. The Indian tradition of head massage is most commonly found in the barbershops of India, where a man would generally go for a morning. Shave or for a head massage. Head massage therapy has its own importance in Indian society and has been a family tradition in the continents of Asia for over many centuries. Indian head massage is also known as “Champi” in Hindi and Urdu. 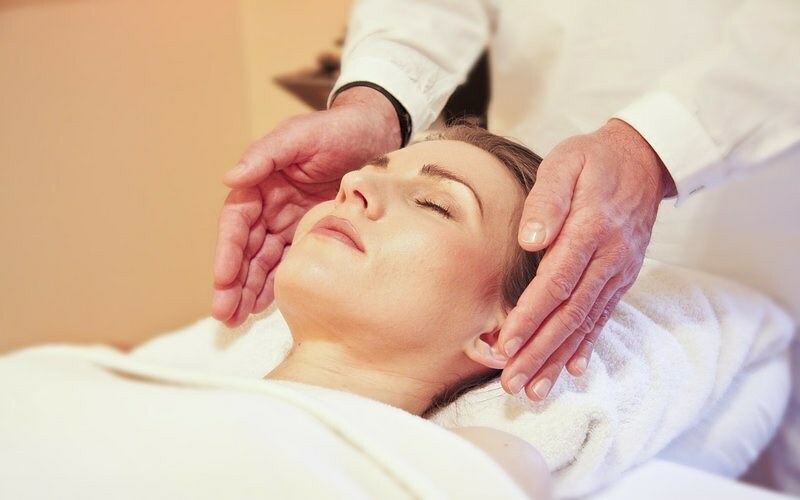 The processes of Head massage therapy are based on the principle of Ayurveda; its aim is to perform the flow of energy or chakras in the body. The Champi or Indian head massage is an also known as “Shiro abhyanga” in Ayurveda, it has about 40 different types of massage techniques, which are performed along with a host of other diagnostic tools that are utilized by ayurvedic healers to address various health conditions of ill health. It has been practiced for more thousands of years by Ayurvedic healers. The basic objective of this Indian head massage is to relieve headaches, stress, helps to sleep, relieve muscle tension to stimulate health and wellness. It is also found helpful to those persons suffering from migraines, insomnia, and sinusitis. The Indian head massage became very popular throughout the world by name ‘Champissage’ it was an alternative word called for “Champi” for this credit goes to an Indian man called Narendra Mehta. Narendra Mehta was a blind man who grew up in a community where Champi was very common, and it was an important part of life. When he went to England in 1970s as a physical therapist, he was surprised to find there was no such head massage therapy available there. He was also disappointed as the head massage was completely neglected even in the full-body massage. He after that tried to do research on Indian head massage and came back to India in 1978; he studied while practicing in a barber’s shop on street corners. Later in 1981, this new massage therapy called “Indian Champissage” was introduced at an exhibition at Olympia England, in which more than 179 clients found this therapy useful. The later world came to know about the traditional Indian Head Massage, and the “Indian Champissage” name came into the trend. How The Indian Head Massage Is Performed? Indian head massage, in general, is accomplished with four stages, which consist of shoulder massage, neck massage, scalp massage, and forehead massage. The client is made to sit on a massage chair. The head massage can be done over one’s clothes but in some cases, a client removes their upper top to enjoy the massage; it is done either with or without massage oil. For the shoulders’ massage, the clients are made to sit on the massage chair in a relaxed and comfortable way. The person who performs the massage stands behind the client with hands on the shoulders of the latter. Next step he tries to performed massage by squeezing gently and slowly to the trapezius muscle. Then he starts at the neck by squeezing gently toward your shoulder; it is performed for 3-4 times each time increasing the pressure. Then with outstretched thumbs, he slowly brings your hands back up before the neck, while performing the thumb in a circular motion on both sides of the spine below the neckline. The same process is repeated for 3-4 times while increasing the pressure at each time. Finally, wrists move outwards towards the shoulder while spinning in motion. On reaching the shoulder the forearm is moved in the center and repeated as desired while the pressure is gradually decreased with each pass. For the neck massage same step is taken, the client is made to sit on the massage chair in a relaxed and comfortable way. The person who performs the massage stands behind the client placing his hand at the base of the voluntary neck and front hand on the forehead. The head massage is done gently with minimal pressure while holding the head from the back, the thumb is spread softly from the fingers while sliding to the neck, avoiding too much pressure directly exerted on the part of the vertebrae. Later, when the hand again reaches the hairline, head tilted slowly to be effortless. The head is gently lifted back to its upright position and goes backward within their range of motion. The process is performed for 2-3 times. For the Scalp massage, the clients are made to be seated on the massage chair in the same position as the above two massages in a relaxed and comfortable way. The massage is done by spreading the fingers on both sides of the head of the client, while the fingers pointing upwards. Slight pressure is applied with hands and moving hand slowly upwards. The same is done while the heel of the hand and is in contact with the scalp with fingers. Once the hand reaches the top of the head, fingers are again slowly moved towards downward in a gentle way towards the different parts of the head. For the forehead massage, the clients are made to be seated on the massage chair in the same position as the above three messages in a relaxed and comfortable way. The forehead massage is done in the same way, by rubbing fingers slowly through the hair of client from the top of the forehead towards downward. The massage is performed in such a way that the final strokes to draw back at the volunteer’s head. The fingers are slowly placed on the front of the latter’s forehead. Finally reaching to the center, the fingers are gently moved down along the forehead line on each temple. How will I feel after Indian Head Massage is performed? When Indian Head Massage therapy is carried out, you may feel relaxed, calm and rejuvenated. You may also feel sleepy; it is a natural stage when you should simply try to listen to your body and get to relax. To get the energizing effect to drink plenty of water to flush out the toxins, follow the aftercare advice your therapist who gives to you to achieve the benefits. More often tension can lead to migraines; the person feels heaviness in the area of the neck, upper back, and head. The person may feel headaches and sometimes back pain, unable to perform daily activity can eventually even lead to depression. The Indian head massage can be helpful to short out these problems. Back pain can be cured with an Indian head massage. When a therapist starts a massage, applying on the arms, upper back, shoulders to release muscles and knots various pressure points are activated, which can result in the smooth flow of blood circulation. The obstructions that cause spine pain can be easy with better circulation. Indian head massage can be the best therapy for growing hair. When massage is done on the scalp, it increases the nutrition and oxygen in the hair follicle and scalp which in turn stimulates hair growth. It is the best beauty tips for long, luscious locks. In this modern lifestyle, we often find problems related to short-term memory. It is because our brains are overloaded with disorganized thoughts. It is very difficult for us capably log file and collect thoughts and occurrences that are in our mind. The scalp massage can be helpful as it circulates the blood to the brain which boosts memory and can work more effectively. The people with overwork load often get side effects of stress. Indian head massage can be very beneficial as it can immediately relieve stress and promote relaxation attacking the physical symptoms and allowing a deeper sense of comfort and relaxation. Note: Overall there are benefits of Indian head massage but people with a heart condition, epilepsy, kidney problems, high blood pressure are generally not advice they must consult the health professional before undergoing any massage therapy as they can advise you the best. All massage therapy is completely safe and complementary, but it must not replace with any medical treatment. Regular head massage can give the body and mind a great feeling of well being. If you have not experienced Indian Head Massage, you should experience at least once! It will give you the feeling of being heaven.